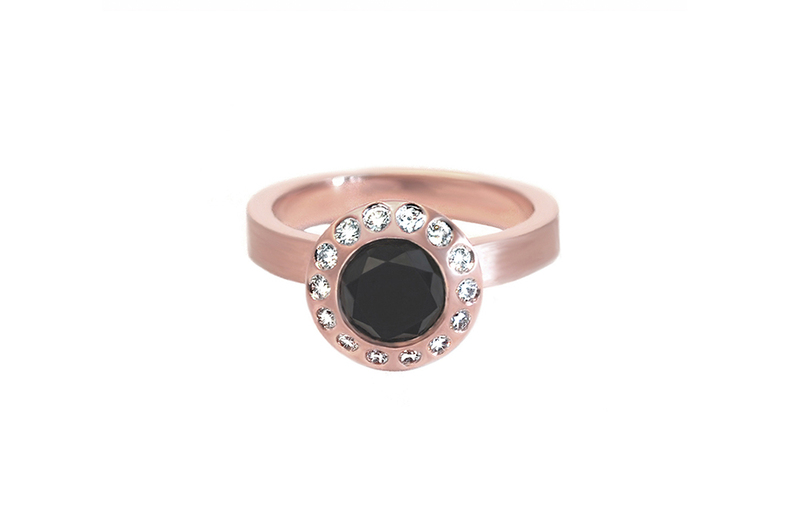 A black diamond halo engagement ring set in 14k rose gold is a romantic and unique option for this one of a kind bride. The diamond halo has flush set diamonds and the center is also bezel set. Let us design the ring of your dreams. Our Custom Design Process was tailored with your specific needs and designs in mind. The more we know, the better we can assist you in your custom ring. We appreciate you taking the time. Copyright 2019 - Scout Mandolin - All Rights Reserved.